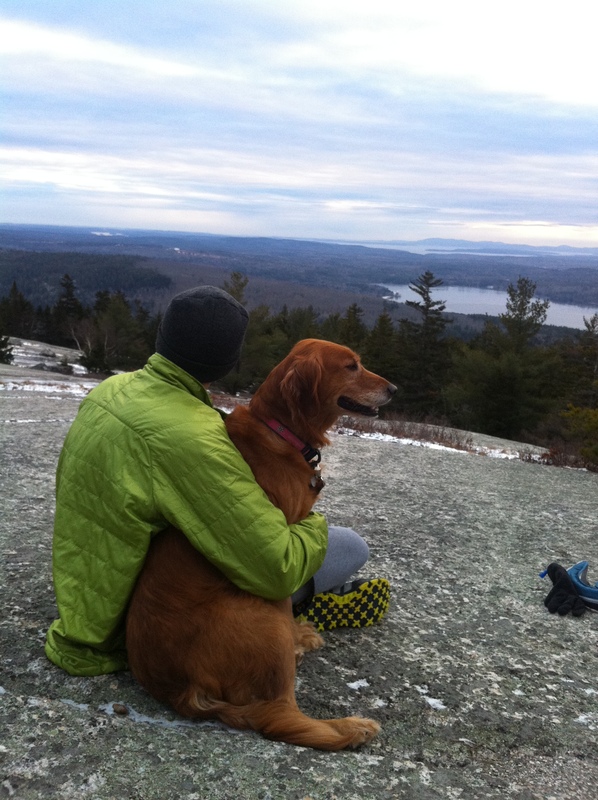 We do what we can up here in Maine to get outside when the temperatures drop and the snow falls. Apart from skiing and snowshoeing, I have been fortunate enough to get out and do a few hikes this winter. Here’s a few photos from my winter day hikes. 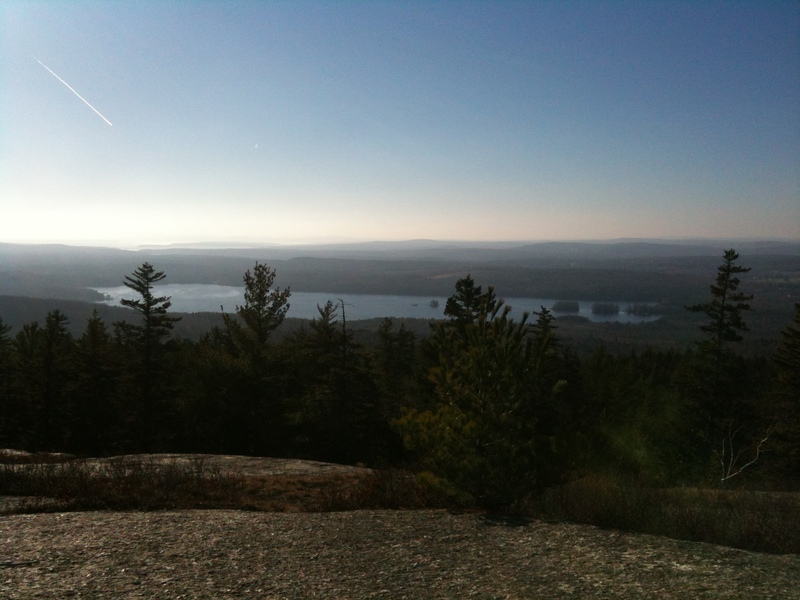 Beautiful Thanksgiving Day hike up Great Pond Mountain in East Orland, ME. Only 10 minutes from home. 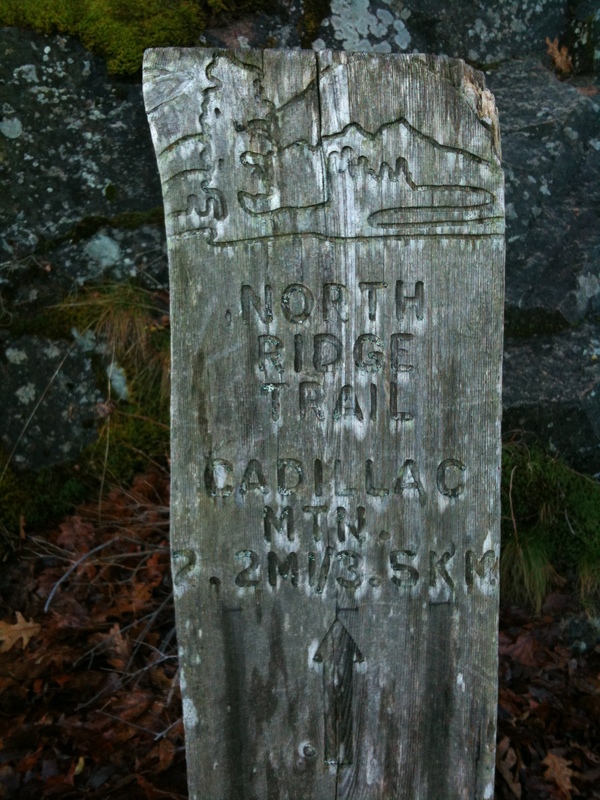 Heading up the North Ridge Trail of Cadillac Mountain on the day after Thanksgiving with my dad. 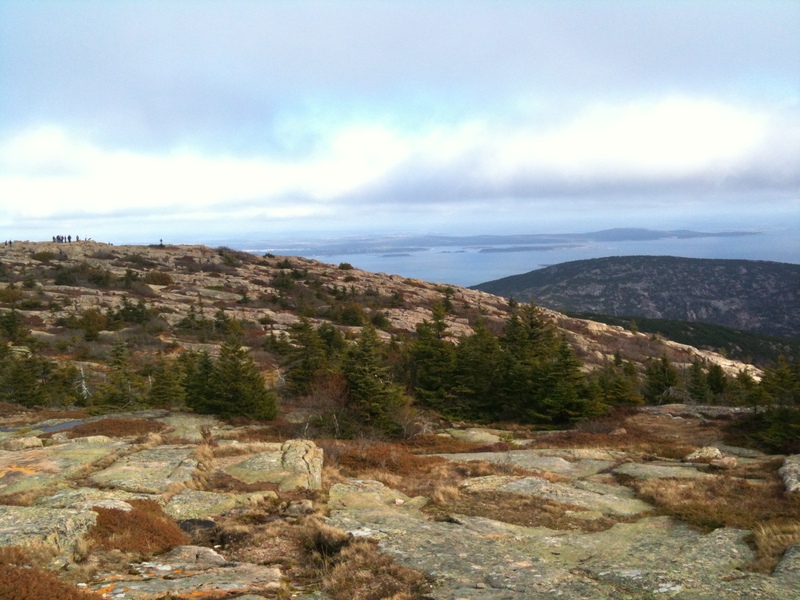 The view from the top of Cadillac Mountain in Acadia National Park, less than an hour from where I grew up. Dorr Mountain, Frenchman Bay, and Schoodic Point are in the background. 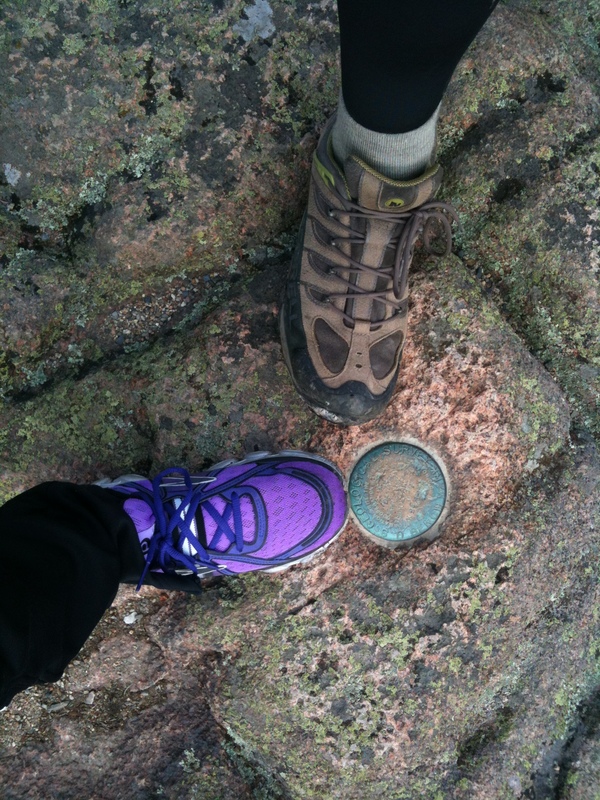 My dad and I at the top of Cadillac. At 1,530 feet, it is the tallest mountain along the Eastern seaboard. Miles and my parent’s dog Stella atop Great Pond again for a Christmas day hike. We went along with my dad too. I had fun sliding down the icy granite trail on the way down! 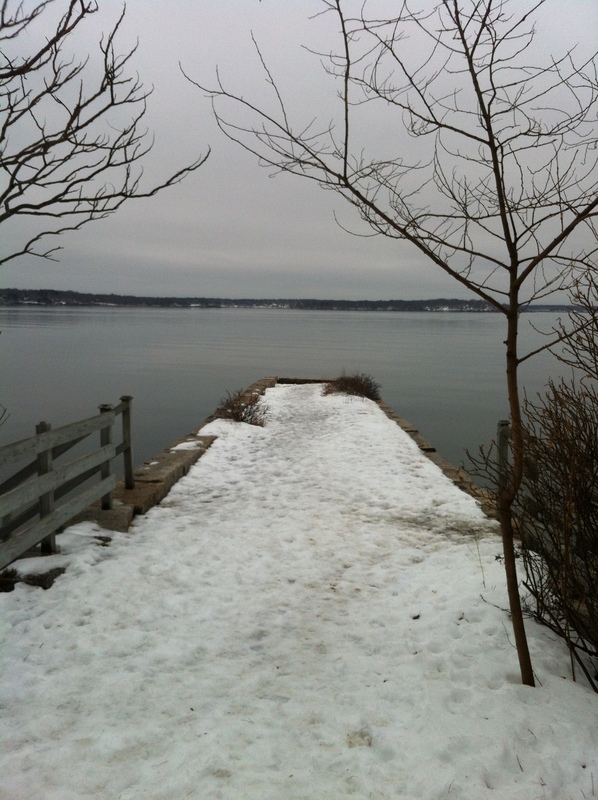 Back down in Portland, I took a nice, snowy hike around Mackworth Island in Falmouth. Great Diamond Island is in the distance. 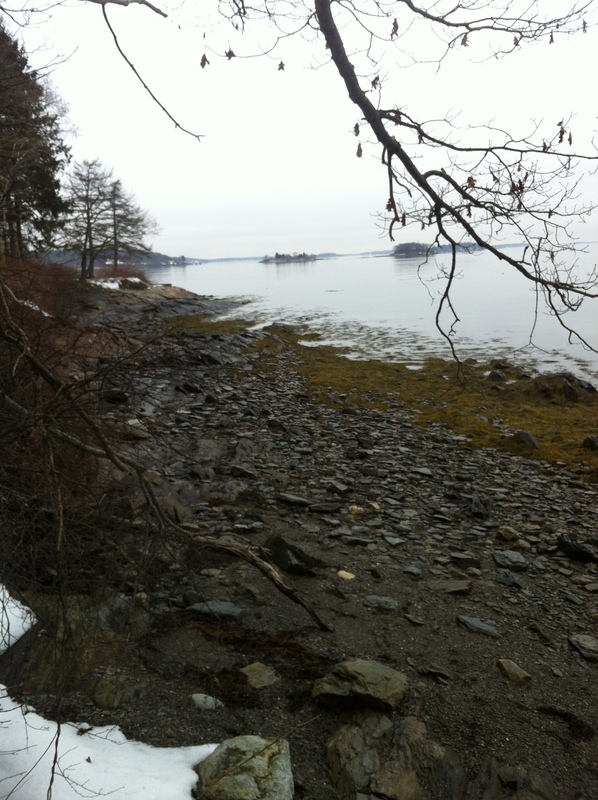 Along the shores of Mackworth Island looking out into Casco Bay. Just saw the Blurb book of handsome Louie this morning; Doris R.brought it to church to show me! He is precious and the photos are a good record of family at such a happy time. Yes, Louie is very precious. I can’t get enough of him! I loved seeing the picture of your son, Kit at Harper’s Ferry. I hope that we will make it there too!